I was dispatched to a bagel shop in the westlake/silver lake area on behalf of a student org that I’m apart of. This is not close to where I live (at 3:30 it took an hour), but I had a task to complete. Lets just say that this excursion culminated with me pushing a broken shopping cart with twenty dozen bagels a block and a half through a residential neighborhood with a German Shepard barking at me. Only in my life. I will say that once the task was complete I was treated to a free bagel. Brooklyn Bagel Co. has pretty good bagels compared to what I’ve had else where in LA. I will admit to going to Noah’s and Panera to get my bagel fix, but Brooklyn Bagels has the real deal bagels. It would have been wrong to turn down a bagel. Right? I went for onion with low fat cream cheese. Not only was the smell in Brooklyn Bagels intoxicating, but the bagel was damn good. I hadn’t had anything to eat since lunch and it was nearly 5. We all know that is the “Katherine gets angry from lack of food danger zone”. 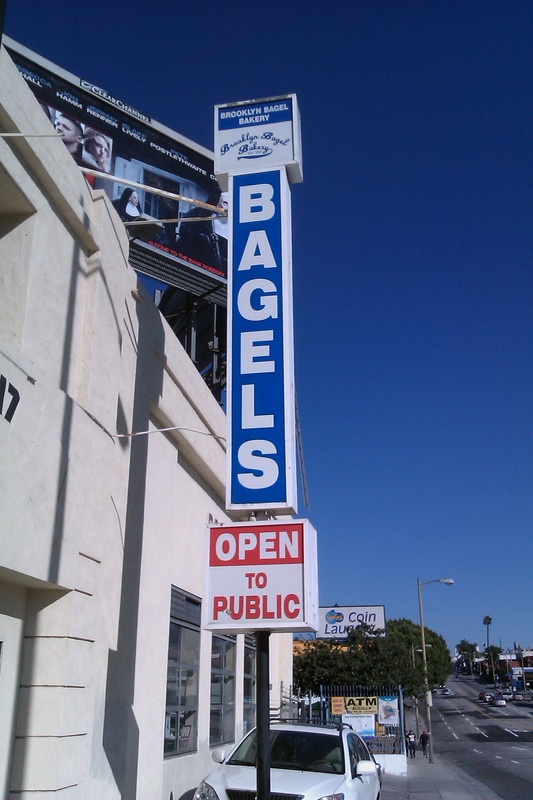 After picking up the bagels I discovered that I had to drive them to Pasadena. I was a little worried about the traffic back west. I was unsure about getting to Pasadena. Overall I was worried. But I arrived at my destination to discover that I was in Old Pasadena! There was a metered parking spot waiting for me near both a cupcake shop AND JCrew. I am not one to question a gift like this from the heavens. I quickly ditched the bagels and went shopping! Old Pasadena is so cute. Lots of little shops and some big chains including Kate Spade (!). Is it weird that my career goal is to wear Kate Spade shoes to work everyday? I didn’t think so. 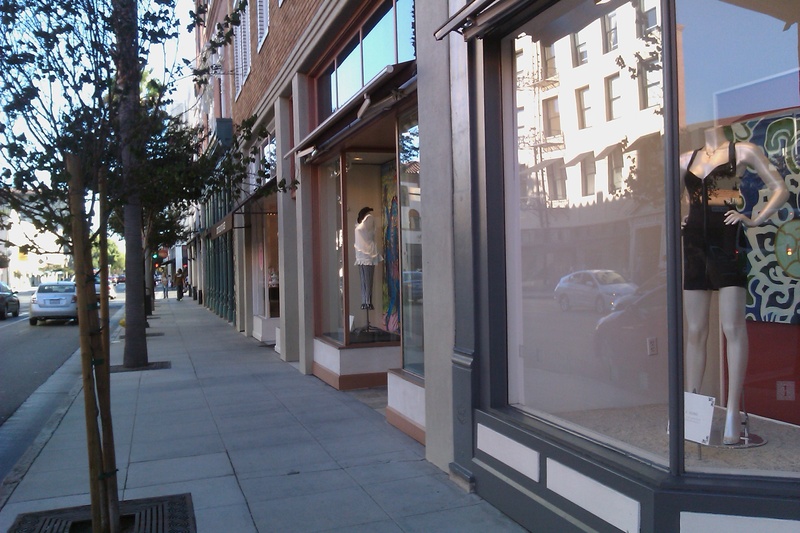 I was only there for an hour and will have to spend more time exploring Old Pasadena in the future. First stop, cupcake shop, Dot’s Cupcakes. 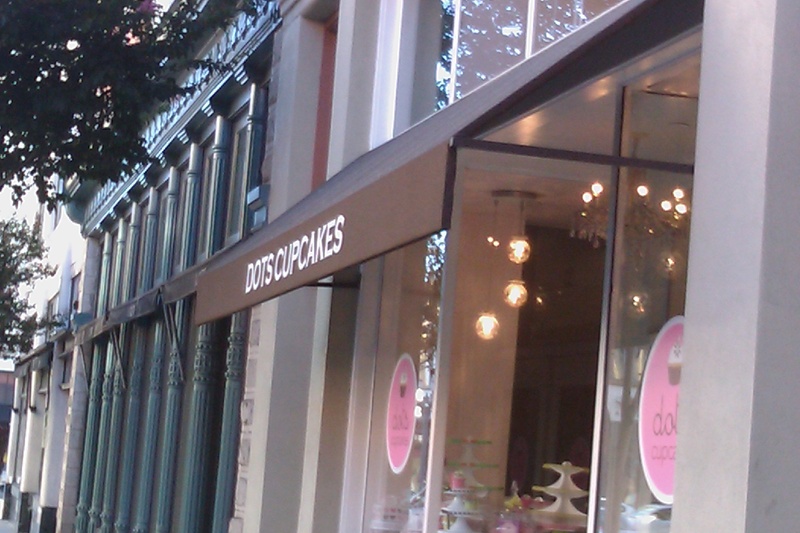 I am never one to ignore a cupcake shop sitting right in front of me. Because I had just thrown down a bagel, I got a mini cupcake. When I saw that they had chocolate with caramel and pink salt I knew exactly what to order. I have a documented obsession with salted caramel. Rich and delish! 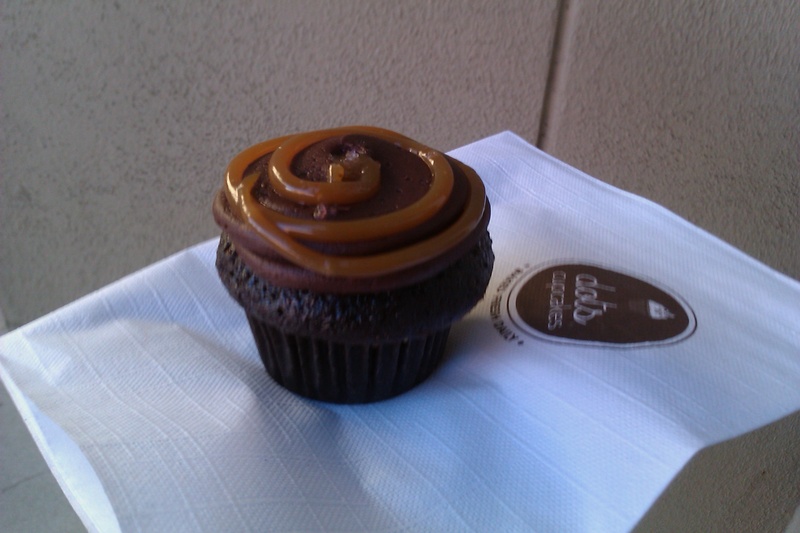 I really like how the salty caramel was complimented by the dark, spongy chocolate. Plus, a mini cupcake is the perfect size if the treat is rich. I would definitely go back to Dots in the future. Then I went to JCrew. If loving JCrew is wrong, I don’t want to be right. Don’t worry M&D, I only bought a sale tank top. Today’s lesson? You never know where a simple task will take you! Hope you all have a happy Friday! 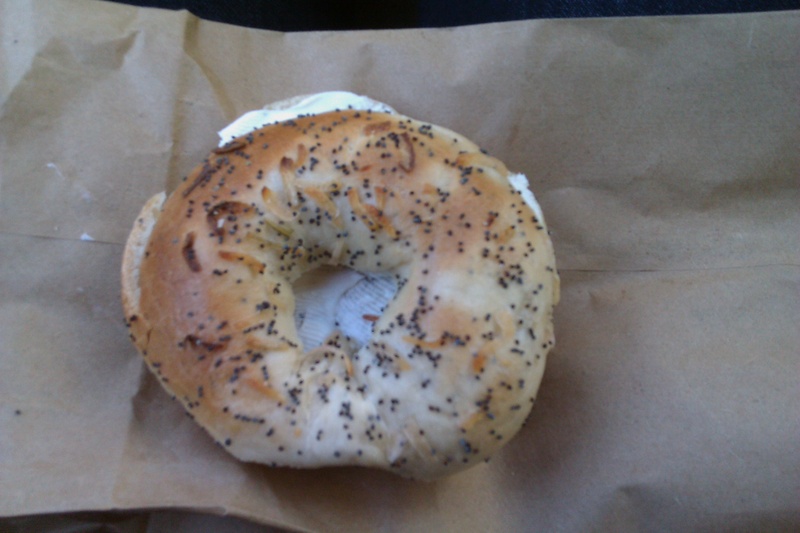 sam’s bagels on larchmont is pretty good too! 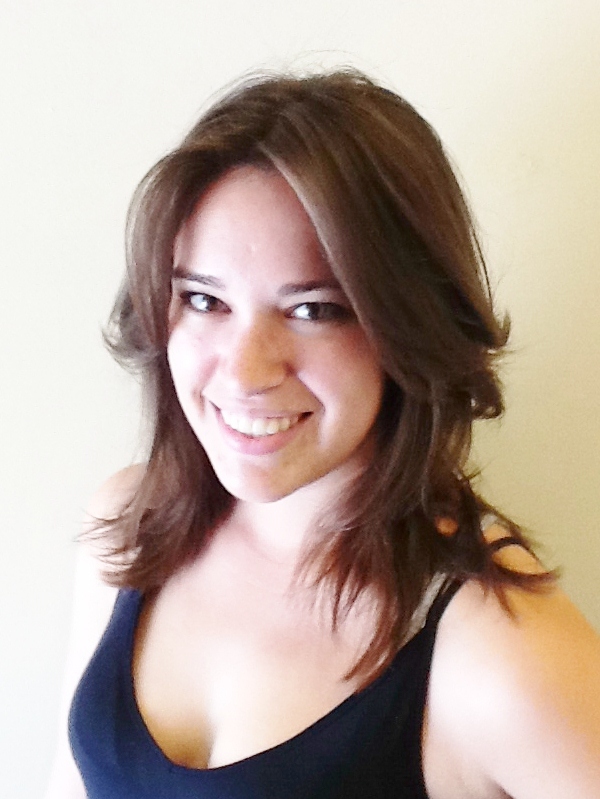 I am so in for a “left coast” blogger meet up! that cupcake looks so yummy btw. salted caramel is such a great phrase, i love those two words together. they always mean you are about to enjoy something delicious! I love Pasadena but it takes forever and ever to get there from the westside! I hate the traffic in that direction.